The Yale Yk and Shaw-Box SK from Columbus McKinnon Corporation are two series of electric wire rope hoists that was recently expanded. They now feature an increased range of lifting capabilities going from one to 30 tons in five frame sizes with 16 load capacity variants. The electric hoists also include a block-operated limit switch, adjustable geared limit switch, motor temperature control and overload protection as standard safety features. There is also a newly available crane kit that is applicable with both hoists to consolidate all the essential crane components into a plug-and-play system for capacities up to 15 tons. 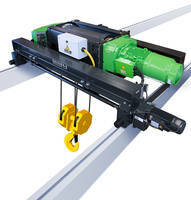 GETZVILLE, N.Y., October 3, 2018 – Columbus McKinnon Corporation (NASDAQ: CMCO), a leading designer and manufacturer of motion control products, technologies, and services for material handling, now offers expanded electrical and mechanical options and a wider range of lifting capacities for their Yale® YK™ and Shaw-Box® SK™ electric wire rope hoists. 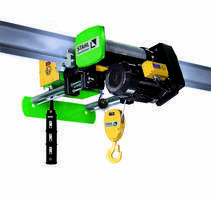 Assembled in Wadesboro, North Carolina, with German-made components, the Yale YK and Shaw-Box SK hoists, available for the U.S. market, are offered in a compact, easy-to-maintain design with industry-leading technology and safety features. An increased range of lifting capacities is available for the Yale YK and Shaw-Box SK monorail units from one to 30 tons in five frame sizes with 16 load capacity variants. Additional options for further system customization include trolley travel limit switch, towing arm, patented track wheels, and Magnetek variable frequency drives for trolley motion. Safety features, including a block-operated limit switch, adjustable geared limit switch, motor temperature control, and overload protection, are standard. Popular Yale YK and Shaw-Box SK hoist configurations, as well as crane kits, are available for two-day shipping as part of the Flex-48 Quick Ship Program for the Company’s U.S. partners. 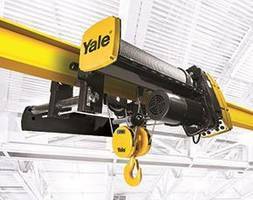 Newly available Yale YK and Shaw-Box SK crane kits consolidate all the essential crane components into a plug-and-play system for capacities up to 15 tons. The crane kits include the hoist and trolley, end trucks, festoon, pendant, and bridge panels with Magnetek variable frequency drives. Optional travel limit switch, patented track wheels, towing arm, and Magnetek variable frequency drives for trolley motion are available. 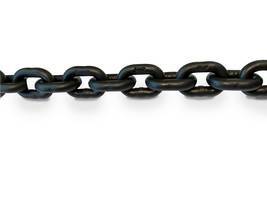 Columbus McKinnon’s crane kits are precisely designed to consolidate ordering requirements and reduce build time. Combining Magnetek’s IMPULSE®·G+ Mini Variable Frequency Drives with Yale YK and Shaw-Box SK monorail units up to 15 tons creates a one-of-a-kind, intelligent lifting solution. The IMPULSE·G+ Mini drive is a compact, low horsepower crane control that enables easy monitoring and adjustments of hoist performance. 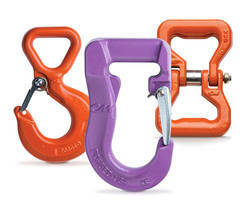 IMPULSE·G+ Mini provides expanded speed adjustments, improved load control, high duty cycles, and increased hoist life. Yale YK and Shaw-Box SK are available on Compass™, Columbus McKinnon’s online product configurator. Compass provides the Company’s U.S. partners with detailed technical data and documentation for a formal quotation package, simplifying the configuration and order process. 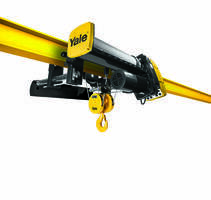 To learn more about the Yale YK, Shaw-Box SK, or any of the company’s crane solutions products, call Columbus McKinnon Channel Services at 800-888-0985 or visit www.cmworks.com.